Toy Story 4 Movie Friends 4 Ever. 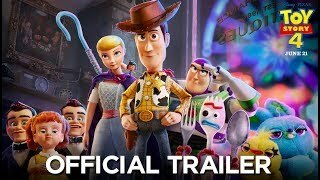 Toy Story 4 release date is set for Friday, June 21, 2019. This will be a Nationwide in theaters release. 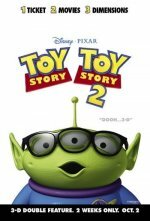 The story was dreamt up by John Lasseter, Andrew Stanton, Pete Docter and Lee Unkrich, the storytellers who have been the driving force behind all three Toy Story films. "We love these characters so much; they are like family to us," said director John Lasseter. "We don't want to do anything with them unless it lives up to or surpasses what's gone before. 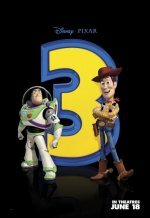 ‘Toy Story 3' ended Woody and Buzz's story with Andy so perfectly that for a long time, we never even talked about doing another ‘Toy Story' movie. But when Andrew, Pete, Lee and I came up with this new idea, I just could not stop thinking about it. It was so exciting to me, I knew we had to make this movie—and I wanted to direct it myself." The Toy Story trilogy has earned an enormous $1.94 billion worldwide. "I’m very proud of our films,” said John Lasseter. 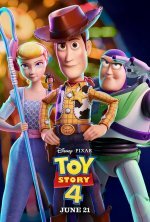 “When we made the first three Toy Story films, we didn’t realize what we had done was to change the genre of each of the films’ story. 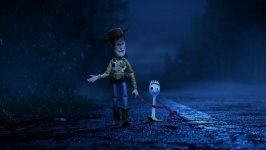 For Toy Story 4, we are doing a type of story we have not done before: a love story. It’s a story about a relationship between Woody and Bo Peep. " The story will be built on the fact that Bo Peep was given away before the events of Toy Story 3 with Woody, Buzz Lightyear and friends trying to find her and bring her back. As Tim Allen explained Keanu Reeves' role, "Reeves has got a great part. Actually, a little inside story, even [Reeves] said — gentle, wonderful guy that he is — 'This sounds too much like Buzz Lightyear.' And his character does have an edge to that. And the guy said, 'So we calmed him down a little bit,' and they reminded me his toy is only that big (11/22/2018)."